With a string of releases in the contemporary jazz field, Rob Mullins rose to international acclaim as a composer and performer. Born in Oklahoma, Mullins was raised in Ontario, California, before moving to Denver at age 14; he was already playing drums with big bands professionally. Leaving for school one morning, a car jumped the curb and struck him, fracturing his leg and forcing an important career decision. Mullins mastered other instruments and, at 16, formed a jazz quintet. His high school music program included field trips to clinics where he received guidance from bandleaders such as Oliver Nelson, Clark Terry and Urbie Green. Back in Denver by the mid-1980s, Mullins was hugely popular. He anchored the jazz club Regas’ Cafe on a beautiful white grand piano the owner bought to make him happy. “Regas Cristou was the first guy to give me the opportunity to play five nights a week,” he said. “I could try out new material, perfect it over weeks and take it into the recording studio.” Mullins started his own RMC Records, and Soulscape peaked at #12 on Billboard’s Top Jazz Albums chart in 1986; the single “Making Love” was nominated for a Grammy. 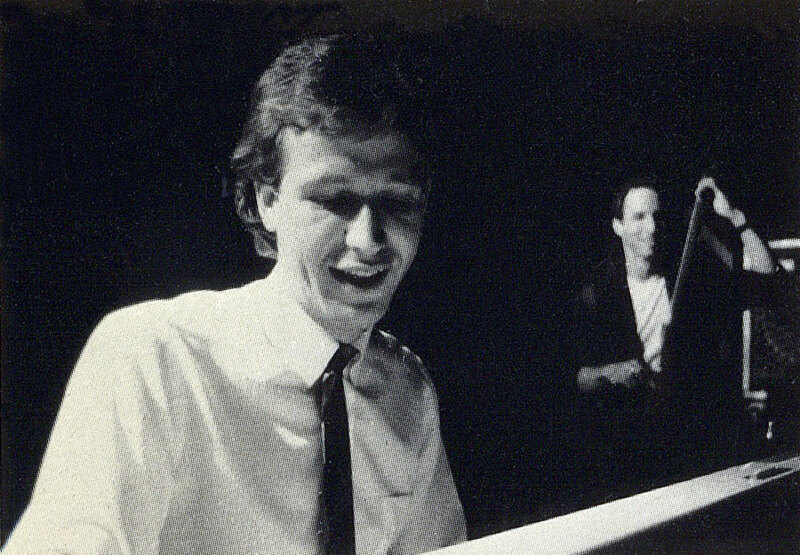 In due course, projects brought the versatile keyboardist to California, where he became an in-demand arranger, producer, and session musician. Mullins has played and recorded with a who’s who of the jazz and pop scene. He’s spread his musical reputation in venues throughout the world. He has written more than 400 songs and recorded more than a dozen CDs. And he’s been a dedicated music teacher since age 14, back when he taught music theory to older musicians in Denver at the Happy Logan Music Company. He now holds teaching programs in his Los Angeles studio and does workshops in other cities.